Read the company-written history of A. Duie Pyle, the West Chester-based trucking firm, and it drives home the point that it believes it has succeeded because it is a non-union firm and has expanded because it acquired failing union firms. In 1979, 55 years after the company was founded and just as the trucking freight industry was being deregulated, A. Duie Pyle nearly collapsed under the weight of a Teamsters strike, its history says. The company managed to persuade its drivers to decertify the union. From then until 1998, little changed as the business grew. 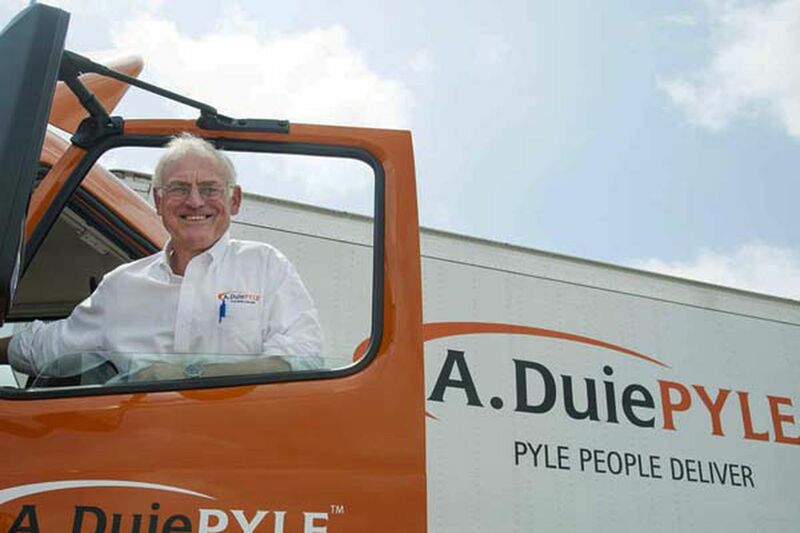 "Then what happened is we forgot about the people," said Peter Latta, 58, chairman and chief executive of the company that his grandfather, A. Duie Pyle (pronounced A. DEW-ee Pyle), started in 1924. The firm had added a huge new terminal in New Jersey. "We got so focused on performing certain things, and we just took our eye off the people, and they felt like they were a little left behind. So all of a sudden, surprise, surprise, we got notice of an election. Often the issue is bad management. True? The terminal manager. He was pushing himself, and he was pushing everybody else. He had certainly a spot on the team. We just had him a little bit mis-slotted. He's [now] one of our national account reps.
You won that election. Lessons learned? The lesson learned was [that] people think it's all about the trucks and the technology and the buildings. Those are all tools that we need to effectively operate, but, ultimately it's the user of the tools - the people - that creates the level of service for the customers. Speaking of tools and tech, we're hearing a lot about driver-less vehicles. Will that impact A. Duie Pyle? I'm not very good at predicting the future. I think it was Freightliner [that] recently unveiled a truck that could be driverless, but it had to be accompanied by a driver. Who knows? Back when fax machines were born, you thought, "It can't get any better than this." Now, how many faxes do you receive? It worries me because we have a really special culture. You're a third-generation executive in this business. Are any of your kids in it? Billy Latta. He graduated from the University of Connecticut in May 2014. He's working for Dayton Freight Lines in Dayton, Ohio. We have a family employment policy that requires family members interested in the business to work at least three years for somebody else. He's been working the last seven months on the third shift doing the freight routing for the Dayton terminal. Tell me about the business. Basically, it's a pickup and delivery service - larger shipment than UPS would pick up. Our average shipment is maybe 1,500 pounds. Basically, we pick it up today and deliver it tomorrow in our territory. We [also] have a partnership arrangement with Southeastern Freight Lines, in Southeast U.S. out through Texas, and Dayton Freight Lines in the Midwest. They're both private and family-owned. Between the three of us we pick up shipments going to each other's territories and move it during the night for delivery. That's a big jigsaw puzzle. On May 26, we had 9,600 shipments, which was a record. Driver turnover is a big problem in the industry. How do you respond? We have our own driver training academy. We'll hire for attitude and train for skills. They'll work on our dock for six months. Then they'll apply to go into our driver training academy. It's basically a 10-week program. Our goal this year is to graduate 45. It costs $20,000 per student because they are paid to go through it. You are the youngest of three brothers. How did you get to be the boss? I think it was more consensus. My father thought it might be a good thing. My one brother, James, is in sales. Duie is in employee relations, and I kind of fill in the cracks.